How can Muslims with type 2 diabetes make Ramadan fast safer? LONDON – Muslims with type 2 diabetes who choose to fast during Ramadan may benefit from individualized education programs, according to findings presented this month at the annual meeting of the American Diabetes Association (ADA) in Boston. Ramadan is the ninth month of the Muslim (lunar) calendar, when the Quran was first revealed to Muhammed, according to Islamic doctrine. The month is calculated to begin this year on June 18 in most countries. Muslims around the world observe Ramadan by fasting from dawn until sunset. While people with diabetes are exempted from fasting under Islamic law, many still choose to do so, said Dr. Mahmoud Ibrahim, an endocrinologist and the director of the Diabetes Education Center in McDonough, Georgia. “Our mission is not to ignore them but trying to help them achieve safer fasting as much as we can,” he said in a telephone interview. 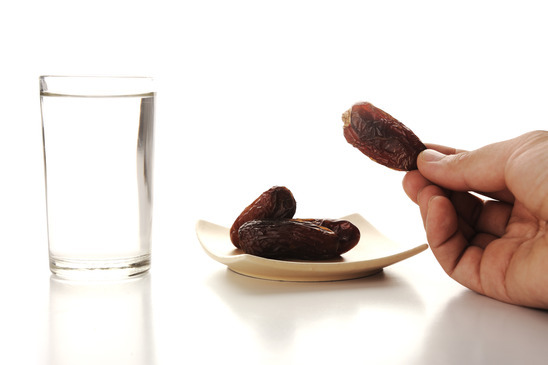 According to Ibrahim, fasting during Ramadan poses two types of risk to people with type 2 diabetes, sometimes called adult-onset diabetes. First are complications such as low blood sugar, high blood sugar, ketoacidosis (a metabolic imbalance that can be fatal), dehydration, and blood clots. Second, Muslims who observe Ramadan often feast after breaking their fast, which can lead to weight gain. The ADA recommends that people with type 2 diabetes who choose to fast during Ramadan receive education on how to achieve a safer fast. At the ADA meeting, Dr. Ibrahim presented the results of his study in 774 men and women with type 2 diabetes who planned to fast last year during Ramadan. Study participants attended one of 16 different clinics in Egypt, Iran, Jordan and Saudi Arabia. Half of the clinics provided an individualized education program to study participants, while the other half provided usual care. The education program addressed meal planning, physical activity, blood glucose monitoring, and acute metabolic complications, and provided an individualized diabetes treatment plan. After Ramadan, Ibrahim and his team found that study participants who received individualized education were more likely to have modified their treatment during Ramadan, to monitor their blood sugar at least twice a day, and to have better knowledge of the signs and symptoms of hypoglycemia. They also reduced their body mass index significantly, and improved their blood glucose control. The education program group had more mild and moderate episodes of hypoglycemia, but fewer severe episodes. Ibrahim stressed that he and his colleagues only enrolled people who were not on insulin in the study, and did not have any complications of diabetes.